Congratulations to Taylor Ricks for being selected as one of Dyer County High School's Teachers of the Year. Taylor is a chemistry and physics teacher at DCHS. He lives in Dyersburg with his wife, Chelsea, and their almost two year old son, Grayson. Taylor is a graduate of Dyersburg High School. He has a Bachelors degree from the University of Tennessee at Martin in Environmental Biology and a Masters degree from Arkansas State University in Educational Theory and Practice. Taylor did not graduate from college and go straight into teaching. He first worked for a chemistry lab for a year and a half before realizing that teaching was his calling. He took a job as a teaching assistant and started his coursework to obtain his teaching license. Taylor has been teaching for six years, and all six have been at Dyer County High School, where he calls home. In addition to teaching, Taylor has also been involved with before and after school KEYS and tutoring programs at Northview Middle School and Dyer County High School. When not in the classroom Taylor is spending time with his family. Taylor and his wife enjoy spending time outdoors with their son whether it be camping, boating, fishing, kayaking, hiking, or traveling. He considers himself an avid outdoorsman and enjoys sharing that passion with others. 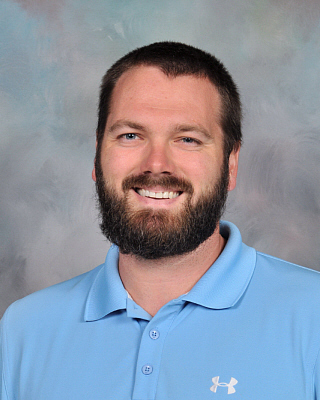 Taylor enjoys teaching because it allows him to help shape the minds of his students and gives him the opportunity to be a positive influence in his students lives.